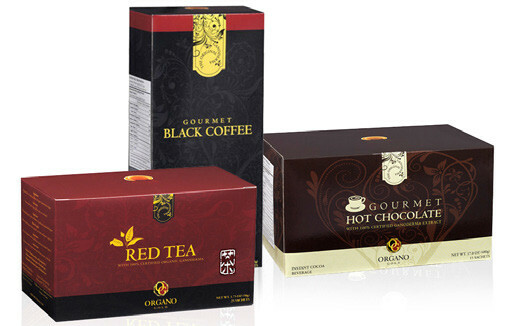 Founded in 2008 by Bernardo Chua, ORGANO is a global sales distribution and network marketing company known for its gourmet coffee, specialty beverages, and personal care products made from certified organic ganoderma lucidum. The company’s mission is to improve people’s lives by sharing the knowledge of a beneficial alternative to regular coffee. ORGANO sells its suite of products through its independent distributor network and to consumers through its Coffee Connoisseur Club. ORGANO is a rapidly growing global company that currently operates in 44 countries. When ORGANO opened for business in 2008 the first order of business was to secure the services of a merchant services provider to process online credit card transactions made by the company’s U.S. and Canadian distributors. Although the company launched in North America, its founders already had a strategic plan to expand to global markets in Europe, Latin America, and Asia. Therefore, they needed a merchant services provider with proven multi-currency processing capabilities, as well as a deep understanding of the distributorship marketing business. GlobalOnePay was ORGANO’s first choice. Since 2009, ORGANO has trusted GlobalOnePay with the processing of multi-currency online credit card transactions in the U.S., Canada, Italy, Norway, Sweden and Hong Kong. GlobalOnePay’s multi-currency processing capability gives ORGANO the ability to accept orders in more than 80 currencies. As a result of using GlobalOnePay’s payment processing gateway, ORGANO can quickly expand into new global markets where GlobalOnePay conducts business without having to set up a local legal entity or bank account. ORGANO’s distributors also benefit because they can see products priced in their own respective currencies on the ORGANO website, making it easier and more efficient for them to place orders and pay for them in a familiar currency. “Compared to other processing vendors we have worked with, GlobalOnePay is easier to integrate with our internal order processing system because they have more advanced technology. ORGANO also uses GlobalOnePay’s secure card storage and tokenization capabilities, which provide access to billing data without the liability of storing sensitive card information. Tokenization provides added security for all credit card transactions. “We still run tests on our systems every quarter, but GlobalOnePay has helped us reduce the time we have to spend on PCI compliance, so we can focus on other areas of the business,” Kagaoan says. Chua is also impressed with the GlobalOnePay’s level of support. “Even though our business is international, it’s important to be able to reach our GlobalOnePay relationship manager locally,” Chua says. “We can always reach out to our relationship manager, even after hours and on weekends, to solve any issues together. Using GlobalOnePay’s payment gateway for processing multiple currencies, ORGANO has been able to price and sell its product lines in multiple currencies, optimize international transactions, and make it easier and faster to set up business in a new global market. According to Chua, it can take two to three months to enter a new international market if ORGANO is working with a credit card processor who is not familiar with ORGANO’s business. However, it takes only a few weeks with GlobalOnePay. “GlobalOnePay already knows our history and our business model, so it’s easier for them to integrate with our IT system and get a new country up and running right away,” Chua says. “GlobalOnePay has been a trusted partner in helping us expand globally,” says Kagaoan. “When setting up business in a new country, it is much simpler and faster to do it with GlobalOnePay since everything is on a single platform. That way we can quickly put the payment processing in place, which helps our new distributors start generating revenue faster, too.